A photo of Vhong Navarro reading the blotter report was finally revealed or released by The District Investigation and Detective Management Division of the Southern Police District (SPD) this afternoon, January 27, 2014. 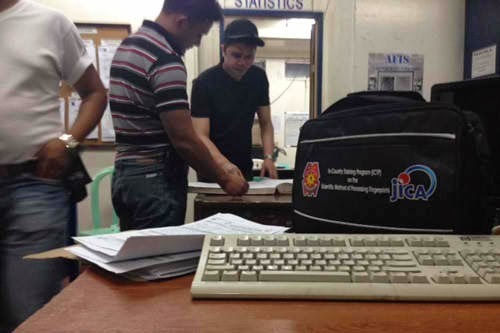 The photo or picture shows actor Vhong Navarro reading the police blotter filed against him on January 22. The picture shows Navarro wearing a black baseball cap and a black shirt, his face beaten and swollen. Also shown in the picture is the police officer who wrote the blotter, PO3 Dalmacio Lumiwan Jr. See the photo below.